Bobsled Marketing is a full channel Amazon agency. What does this mean exactly? Unsurprisingly, this is a question we hear a lot. 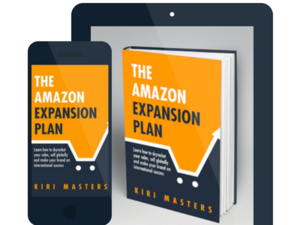 Amazon is becoming increasingly important for thousands of brands and there is a lot of mystery surrounding what it takes to effectively master the channel. We thought it would be useful to break down our approach to Amazon management aka “The 4 Parts Of The Iceberg”. Every Amazon account is unique, and our extensive experience has taught us that there isn’t a one-size-fits-all approach. 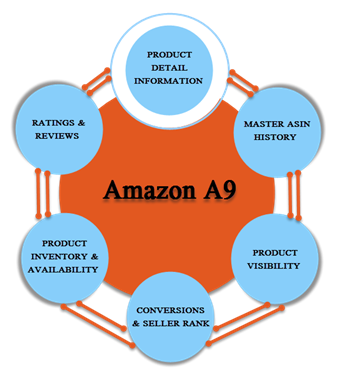 However, there are specific areas of Amazon management that every seller or vendor needs to be on top of. It doesn’t matter if you’re selling makeup, jewelry or toys; you will simply not succeed on Amazon if you don’t manage certain aspects of the account efficiently. 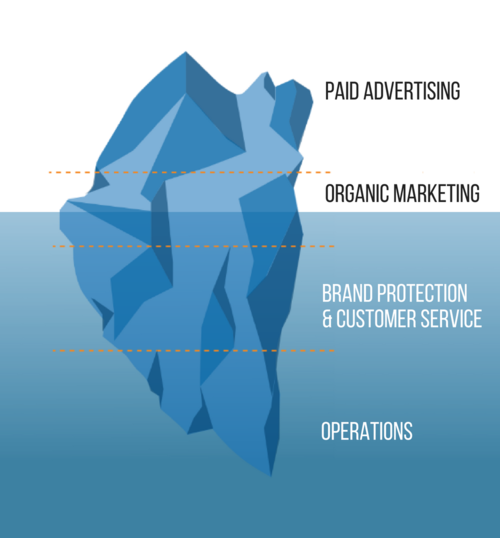 As you can see, the iceberg is broken down into four different sections; Operations, Brand Protection & Customer Service, Organic Marketing and Paid Advertising. In this post we’re going to break down exactly how we manage each chunk. Day-to-day operational management forms the backbone of every Amazon presence. This section sits at the very bottom of our iceberg as the tasks involved are typically behind-the-scenes. But such tasks are incredibly vital as they keep the entire account afloat. At Bobsled we define Operations as maintaining excellent Seller and/or Vendor metrics. This is perhaps the easiest part of Amazon account management as Amazon will help you track all critical metrics, and if there’s an issue you’ll receive a performance alert. It’s important to note that some tasks needed to be completed daily, whereas others should happen on a weekly or monthly basis. For example, Sellers should look for Performance Notifications every day because if you miss an important notification, such as an A-Z Claim, it could lead to an account suspension. The greatest challenge from an operational point of view is typically inventory management. Ensuring that you have Prime-eligible inventory available at all times is a simple and effective way to grow Amazon revenue. Sellers have more control over their inventory levels compared to Vendors. 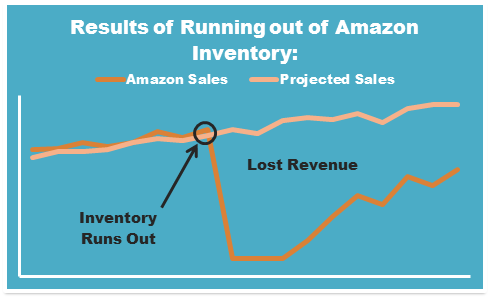 This is because Sellers can decide exactly how much inventory to make available on Amazon, whereas Vendor inventory levels are determined by Amazon’s wholesale PO’s (Purchase Orders). Shoppers love the convenience of Amazon and if your product is unavailable they will likely go with a competitor or an unauthorized third-party seller. Analyzing YOY data and closely tracking sales velocity are two things every brand should be doing to help accurately project required inventory levels and avoid costly stock-out situations. Here is more information about Bobsled’s recommended inventory management strategies. Due to Amazon’s growing market share in the eCommerce space, protecting your brand and providing exemplary customer service is of extreme importance. Once again, a lot of the work is “back-end” heavy, but completely necessary due to the dog-eat-dog manner in which Amazon functions as a marketplace. For every unique product on Amazon there is only one product listing. This means that if your product is sold by multiple sellers, they will all be competing for the same Buy Box. Scenario 1 - brand has complete control over distribution, and no other parties sell their product line across any other channels. Such brands generally don’t have to worry about other parties trying to win their Buy Box on Amazon. Scenario 2 - brand has select authorized resellers who are allowed to sell their product line on Amazon. Such brands need to ensure the authorized resellers respect the MAP agreement on Amazon to preserve pricing integrity across all online channels. It should also be noted that authorized resellers may on-sell large quantities of inventory to other parties who may end up becoming unauthorized Amazon sellers (unless there’s a specific clause in the agreement preventing the authorized reseller from engaging in this activity). Scenario 3 - brand sells to multiple other parties, and has no authorized Amazon resellers. As a result a brand in this situation will likely have to contend with a huge number of unauthorized resellers competing for the Buy Box on the Amazon marketplace. In our experience, prevention is always better than a cure when it comes to dealing with Buy Box threats. Carefully vetting wholesale partners and creating watertight agreements can save you from numerous headaches further down the line. This issue unfortunately impacts both Sellers and Vendors. Amazon wants wide selection and fierce price competition on their marketplace so it’s up to the brand owner to control the Buy Box on each product listing. Failing to respond directly to Customer Questions and Product Reviews can have huge ramifications for your brand. On your own ecommerce website you completely control the shopping experience. Amazon is a little different. You control the product listing content for your own branded products but customers can leave feedback right on the page. If this feedback is negative or inaccurate it can impact conversion and revenue negatively. For Bobsled clients we respond directly to this type of feedback in order to preserve the integrity of product listings under our management. Many brands have great content but it’s simply not optimized for the Amazon marketplace. Organic marketing is about giving both the A9 algorithm and the Amazon shoppers all the right information about your brand and product line. 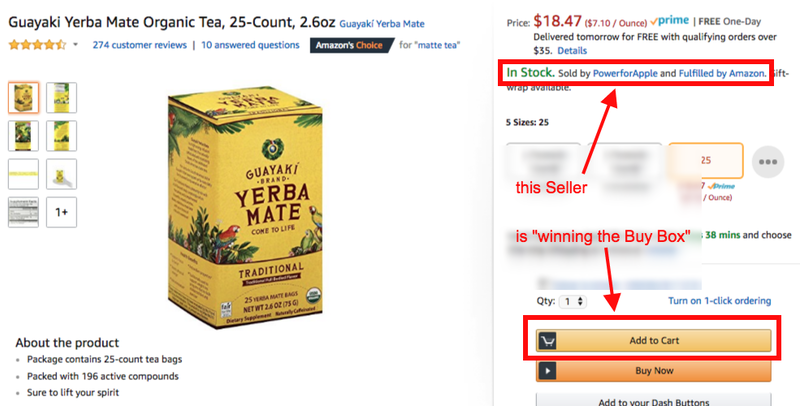 Often times product listings on Amazon have been “hijacked” by other third-party sellers. Or perhaps there are counterfeiters selling fake versions of your product line. There is often misleading information floating around on Amazon, particularly for brands with large catalogs that sell across multiple channels. It is your responsibility as the brand owner to review the catalog and update any false information. Are Your Product Listings Designed To Convert? The first step is starting with the framework of the product listing; back-end search terms and metadata, product title, images, bullet points and product description. Secondly, Sellers and Vendors should be considering boosting the quality of the product listings with EBC (Enhanced Brand Content) and A+ Pages. These enhancement features offer a great way to differentiate your products from competitor offerings. Finally, brands should be considering ways in which they can offer more value to shoppers with Promotions. Simple offers include Percentage Off, Free Shipping (if you always Merchant-fulfill) and Buy One Get One promotions. If you want to get more advanced, Product Bundles and the Subscribe & Save program might be ways in which you could edge out the competition. We’ve published a blog post on Amazon Promotions, you can check it out here. In our iceberg graphic we put Paid Advertising at the very top. Once you’ve built an account with solid foundations, you can use PPC advertising to drive more awareness to your brand and product catalog. Do I Really Need To Advertise My Amazon Products? Every Amazon marketplace is becoming more and more crowded with each passing month. Therefore, it becomes more of a challenge to rank organically (even for established brands) due to the increased competition across every product category. By utilizing Amazon’s paid advertising tools a brand can rent pieces of prime real estate across the ecosystem in an attempt to gain more impressions, clicks and conversions. By not investing in PPC you are giving competitors an opportunity to eat into your market share. How Do I Allocate Spend & Track Performance? There is no simple answer to this question due to the fact that each Amazon account varies so wildly. Some factors that should impact your paid advertising strategy include; Amazon fees, inventory levels, seasonal trends, state of listing optimization and competitiveness of your product category. At Bobsled, our starting point for ascertaining the recommended PPC budget is always profit margin on a SKU level. Amazon is a great channel for exposure, but if you’re aren’t turning a profit then what’s the point? Once we have a ballpark idea of what the ad spend level should be, our advertising team builds PPC campaigns and begins to track performance. Our ultimate goal is to reach the point of diminishing returns across the catalog. This means spending just the right amount on advertising to see the most optimal results overall. Check out our blog post “How Much To Spend On Amazon PPC In 2018”. Bobsled’s full channel Amazon management service is a complete package. In a nutshell; our clients ship inventory, and we handle everything Amazon related on their behalf. This service overview is just the “tip of the iceberg”. To learn more about how we can help your brand scale on Amazon please schedule an appointment with a Bobsled representative below. Newer Post How Do I Update A UPC On Amazon? Older Post What's Changed in 2 Years of Selling on Amazon?